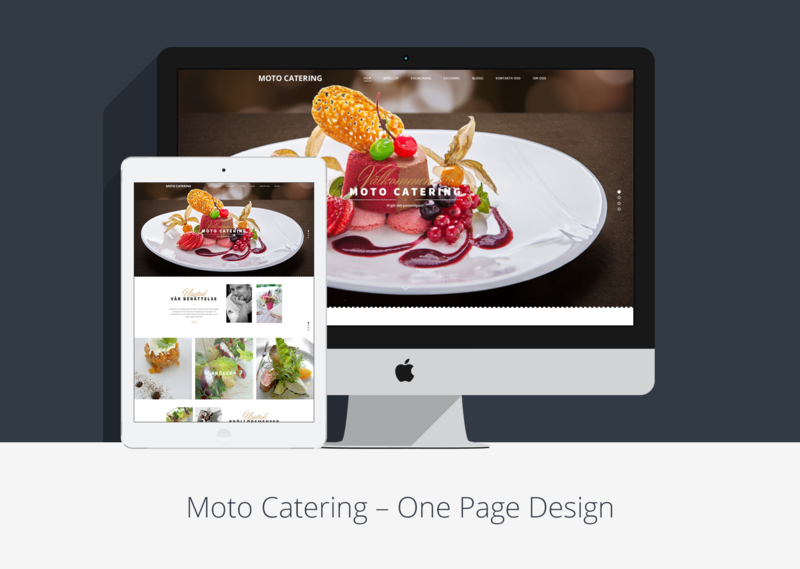 Moto Catering is a turnkey business card website for Swedish catering company. The main requirements were for the website to be modern-looking, to possess intuitive UI and overall elegant design. Given the nature of this website, it had to be a truly eye-catching one page design. Its primary purpose was to make customers stay on the page and become customers, thus improving the conversion rate. The first phase of our work on this one page design of the website started with in-depth market research and detailed competitive analysis. Our main aim was to outline the best features that are presented in the websites of the similar nature. As soon as we collected enough data and processed it we determined the essential features and client agreed with our proposal on them. After that we proceeded with the creation of the prototype. Prototyping is a vital part in the design creation process as it allows the client and designers to stipulate all the details of the future design and find common ground on the direction of the design. Information obtained in the process was used as a basis for web design and mobile design development. During our work on the project we accomplished such tasks as logo design, websites CMS development (WordPress), as well as filling website with the content. We also provided hosting for this project. As a result, our client received ready-to-use website with integrated CMS that fully corresponded to his demands in website’s overall outlook and functionality.